Unlike many bands, Baltimore five-piece Lower Dens made themselves at home at South by Southwest last March. When we tailed Jana Hunter and Co. with video cameras (thanks to ABSOLUT Vodka) they scarfed tacos and talked about finding a gym (!). But the best bit came when they visited SPIN’s own SXSW hangout spot and spied an adorable wooden pig on our coffee table. We’re such big fans of their second album Nootropics (read about it here), we didn’t bat an eye. 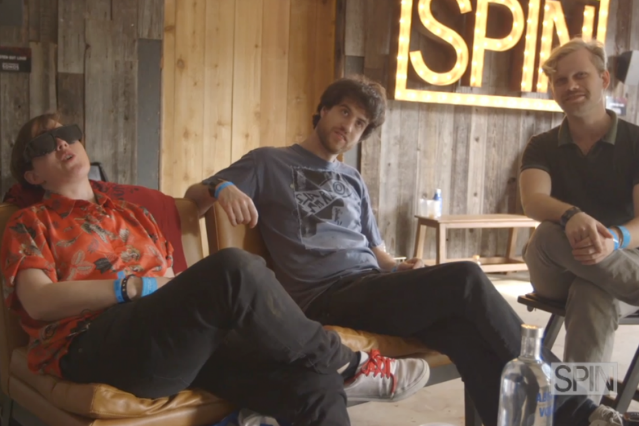 Plus, watch our Night Out With… Doomtree and our SXSW adventure with MNDR.